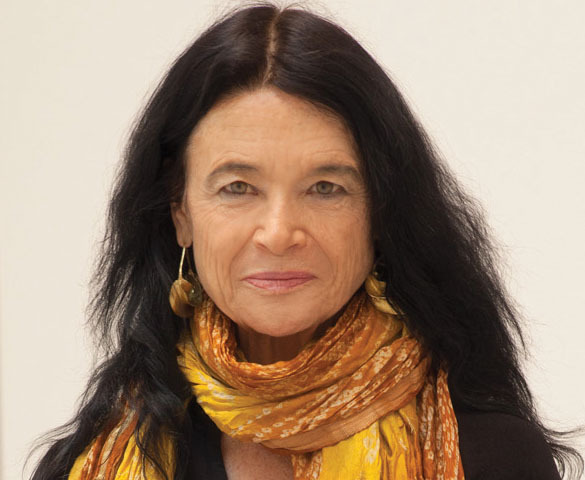 Anne Waldman is the author of over 40 books of poetry, including the book-length hybrid narrative eco-poem Manatee/Humanity, and the feminist epic The Iovis Trilogy: Colors in the Mechanism of Concealment, which won the 2012 PEN Center USA Award for Poetry. Other recent books include Gossamurmur, Jaguar Harmonics, and Voice’s Daughter of a Heart Yet to Be Born. Her latest album is titled Untethered. She is also a recipient of the 2015 American Book Award for long-life achievement by the Before Columbus Foundation, a Guggenheim Fellowship, and The Shelley Memorial Award, and is a Chancellor Emeritus of the Academy of American Poets. Waldman founded The Jack Kerouac School of Disembodied Poetics at Naropa University with Allen Ginsberg in 1974. She has continued to work at Naropa as a Distinguished Professor of Poetics and Artistic Director of its Summer Writing Program. Her latest book is Trickster Feminism.